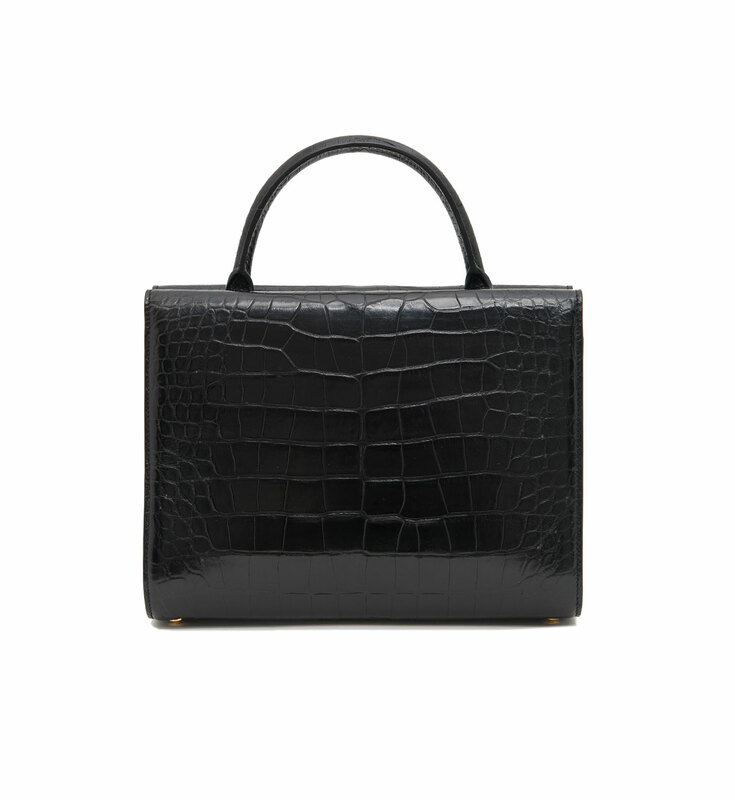 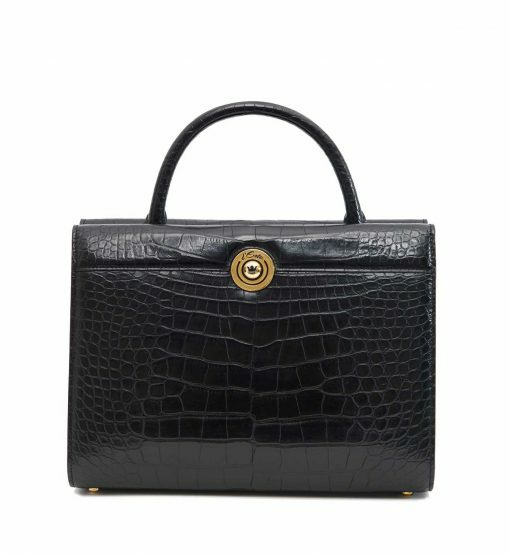 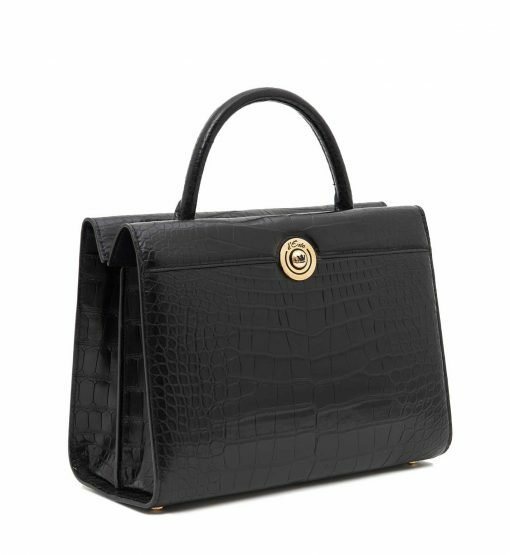 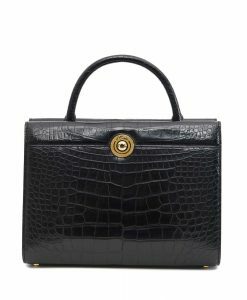 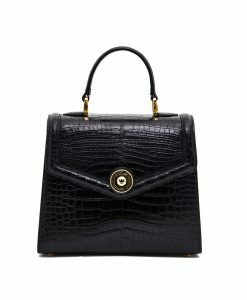 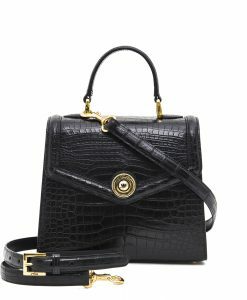 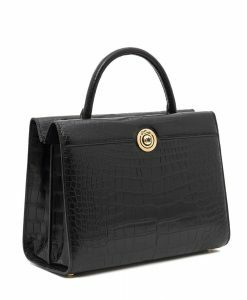 d’Este’s iconic ‘Paris’ tote bag is crafted in Italy from black alligator skin. 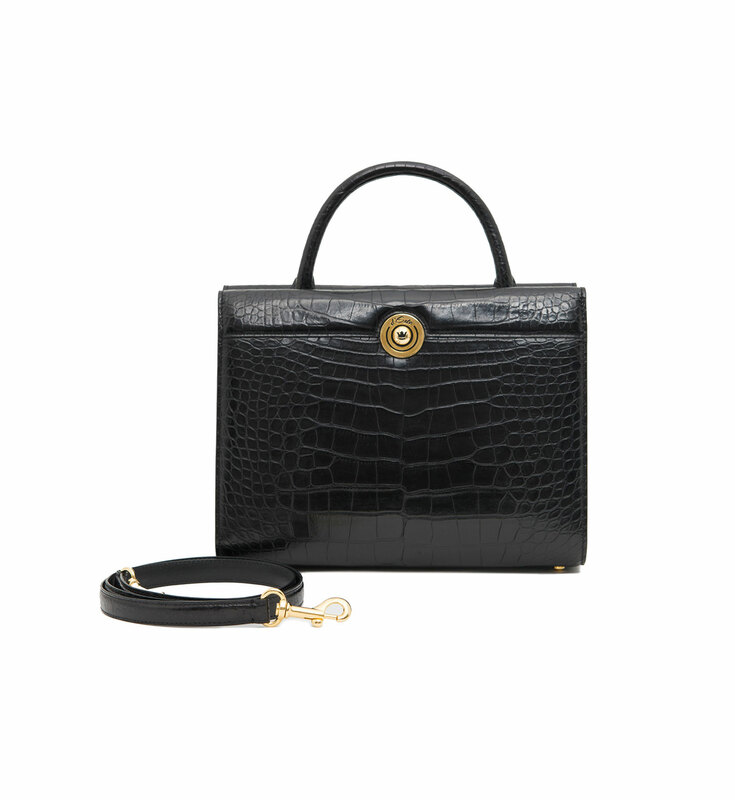 This exceptional piece is fitted with gold hardware and protective feet engraved with brand’s recognizable etching. 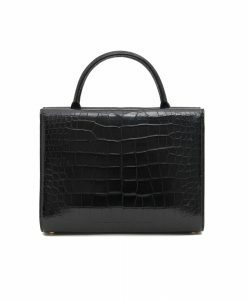 The suede-lined interior boasts a wealth of compartments and one zip pocket to ensure your essentials are stored safely. 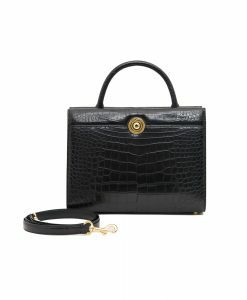 Switch between the top handle and detachable shoulder strap depending on the occasion and your needs. 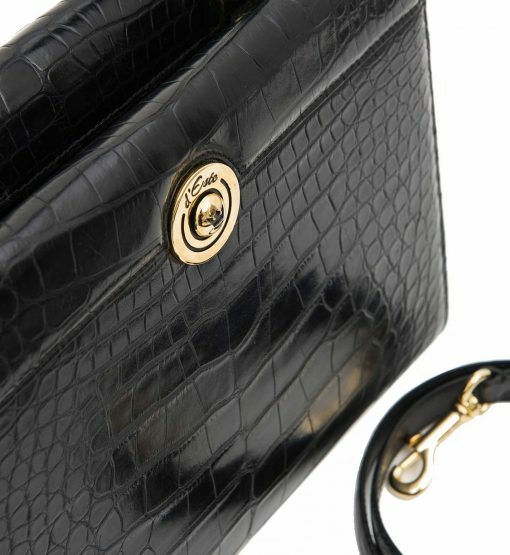 Handle drop – 15 cm. Max. 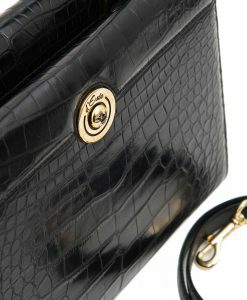 Strap Length – 68 cm.